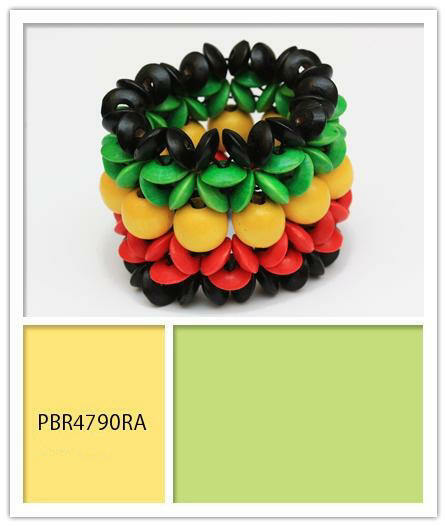 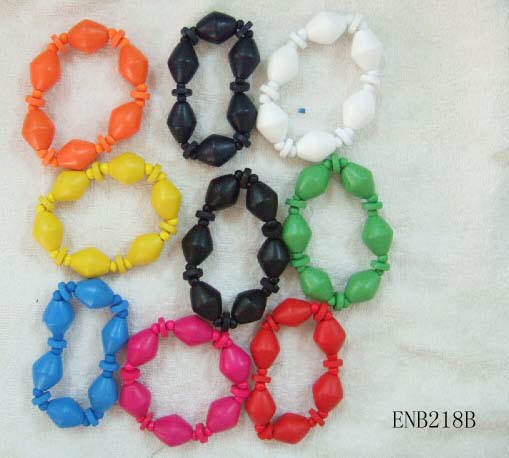 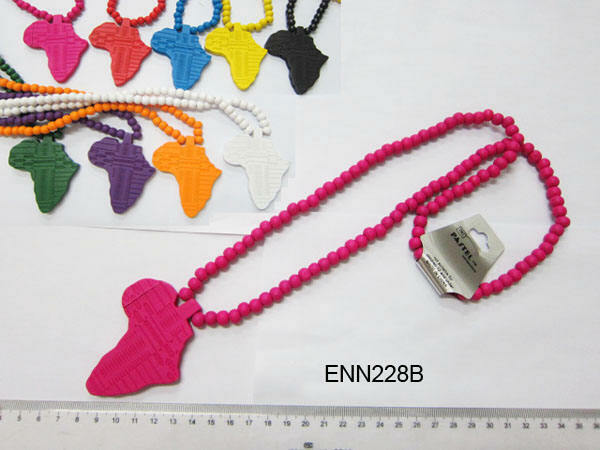 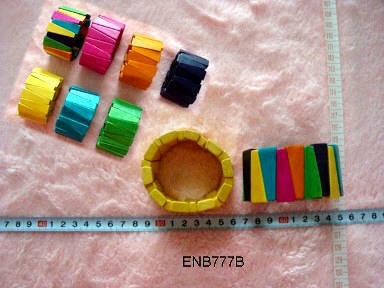 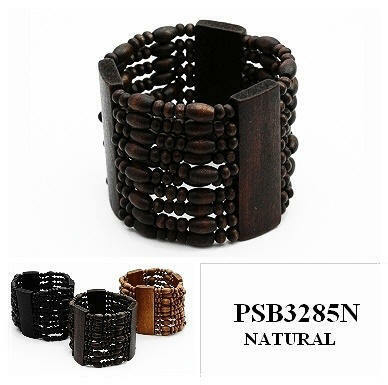 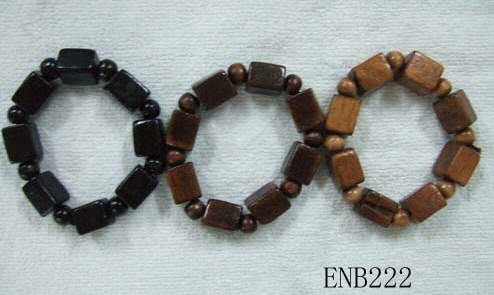 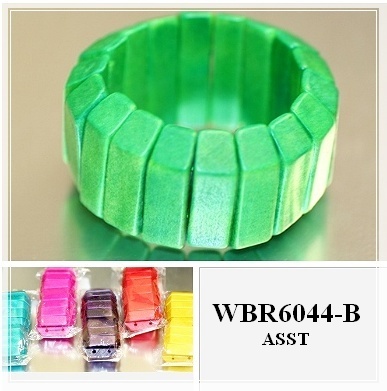 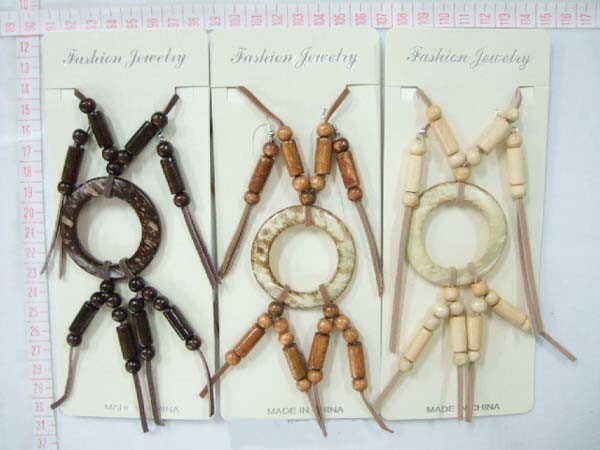 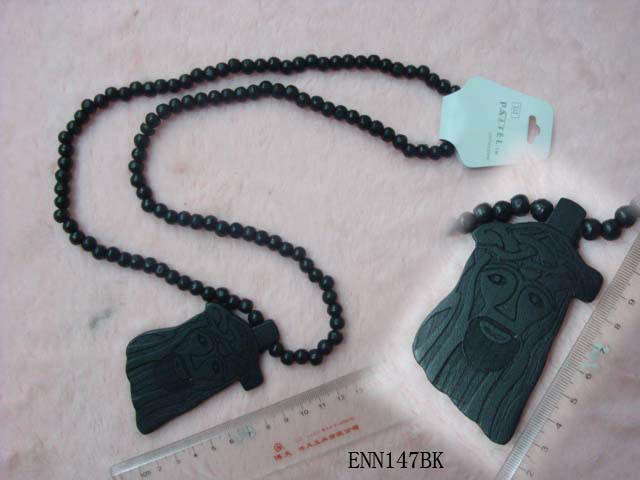 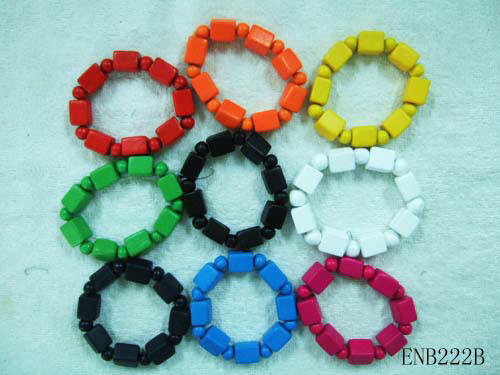 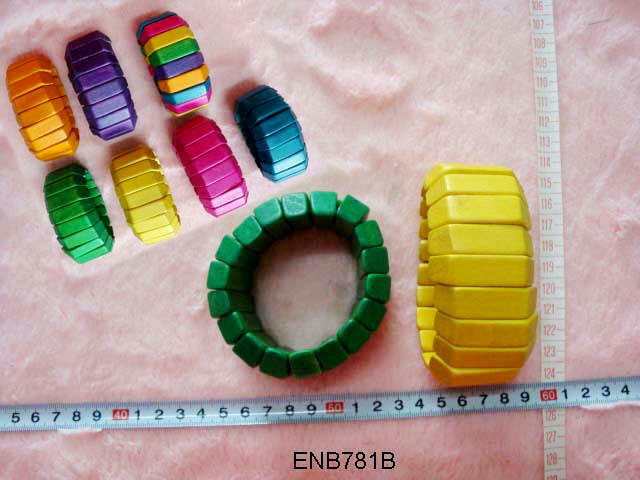 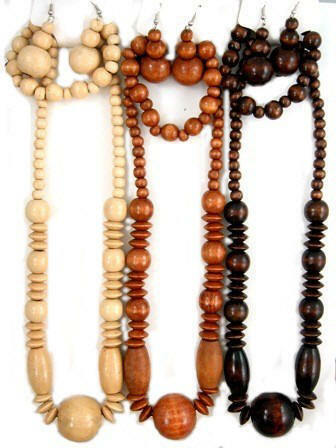 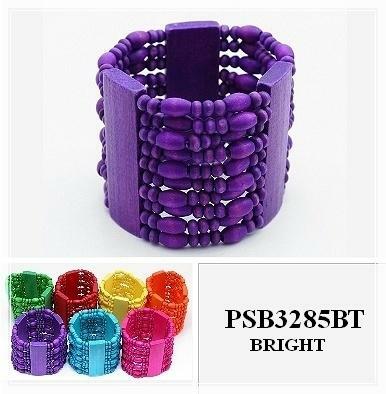 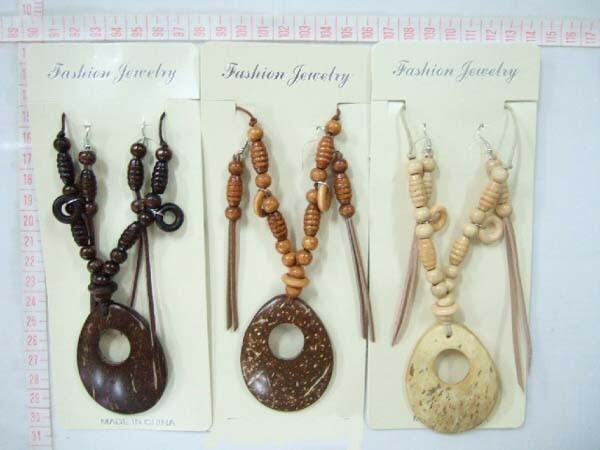 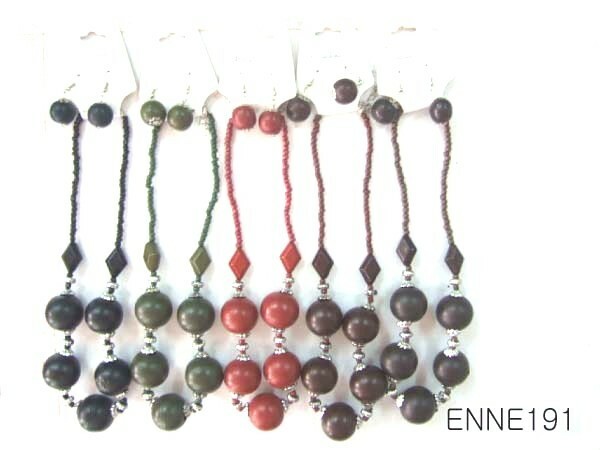 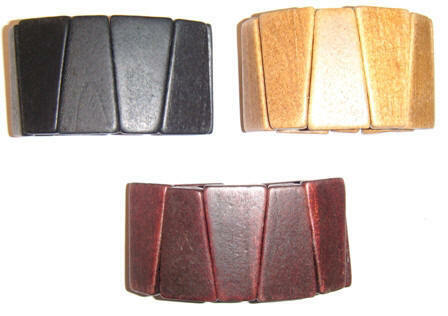 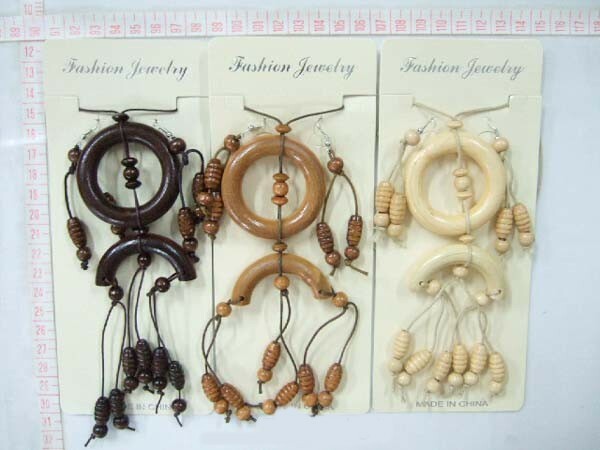 We are Importer And Distributors Do Wholesale Wood Jewelry Like Wood Bracelets, Wood Earrings And Wood Necklaces Made From Many Different Kind of Wood Materials Including Coco Wood Beads, also we do wholesale Wood Necklaces With Puka Shell Beads. 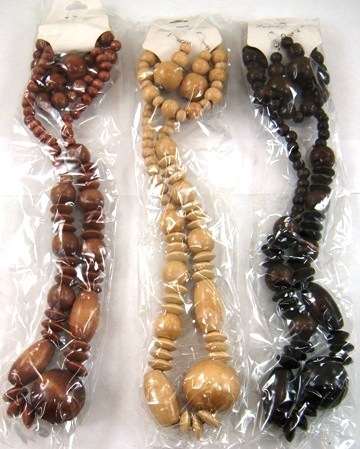 TO PLACE YOUR ORDER PLEASE READ FIRST OUR WHOLESALE TERMS , you can order by Phone/Fax or Use Our Order Form. 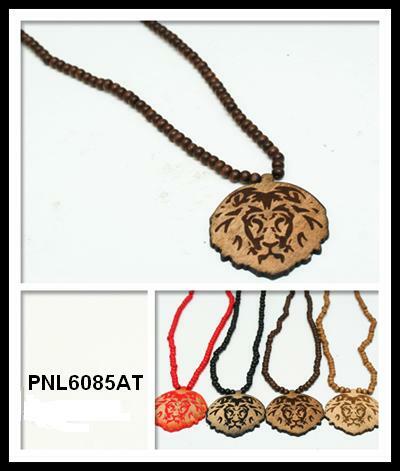 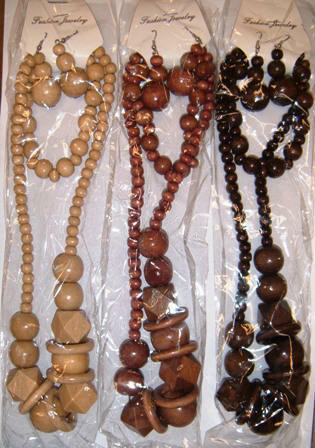 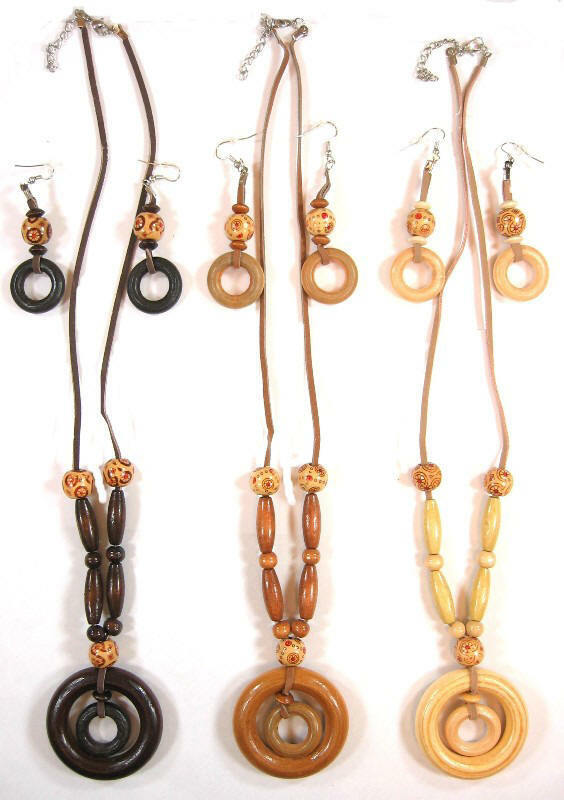 22" Long Wood Necklace With Bracelet and Earrings SALE $6.50 / 36 PC. 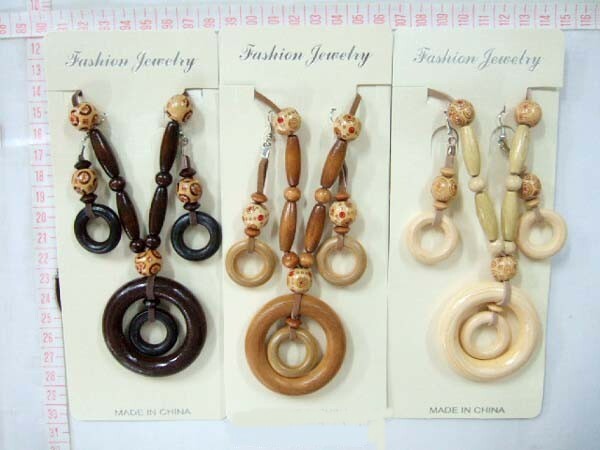 NOTICE: MINIMUM ORDER OF ALL WOOD JEWELRY INCLUDING COCO WOOD NECKLACES, WOOD BRACELETS AND WOOD EARRINGS IS 1 DOZEN PER ITEM.